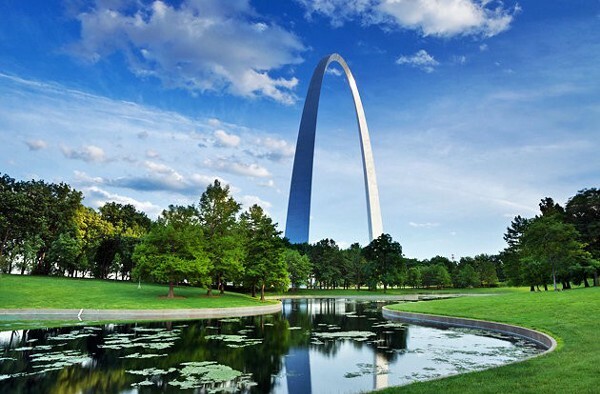 If you are staying near downtown or on the east side of the Mississippi River, you can cross the Eads Bridge to the Jefferson National Expansion Memorial Park and the Gateway Arch. 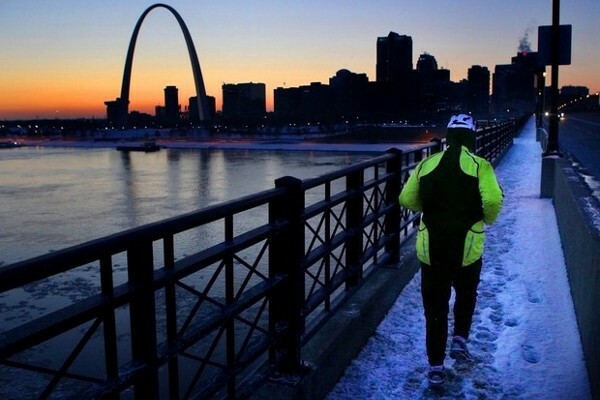 This 6 mile loop near Lafayette Park, running through the Lasalle neighborhood to the Arch and then access the Eads Bridge (the world’s first steel-truss bridge is a city & national historic landmark) at Laclede’s Landing. Take in the majestic arch along the banks of the Mississippi. This runs by Busch Stadium, home of the St. Louis Cardinals, the new Rams Stadium, and down 14th Street by the Soldiers Memorial Military Museum, and St. Louis City Hall. Other downtown highlights include the Convention Center, City Garden, and Eternal Flame Park. Add-On: Can combine and vary with our Arch/Jefferson Park route, or Riverfront Trail. Numerous Metrolink stops along route.